Grand Café de Brink, in the centre of Dwingeloo, is easily accessible from the A28 and A32. Away from the crowds, we offer you an ideal location for your meeting, training or team building. The hotel has its own free parking and unlimited free WiFi. Of course, you are welcome to relax and enjoy our culinary offer after your meeting. Grand Café Hotel de Brink features a beautiful bar, a cosy lounge with fireplace and four meeting rooms from 40 to 200 m2. 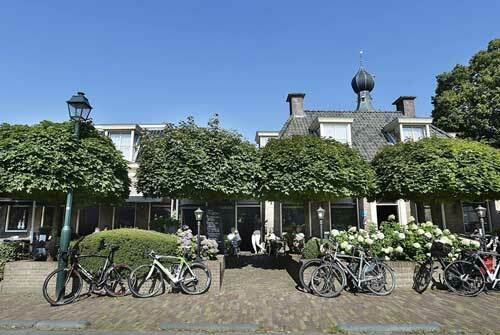 Hotel & Restaurant Wesseling is located in the centre of Dwingeloo and is very easy to reach (near A28 and A32). Far away from the hustle and bustle Hotel & Restaurant Wesseling is the ideal venue for your meeting, training, team building or other business and festive event. The hotel has its own free parking. If you want to chat after your business meeting and care for a drink with the participants, we offer a number of drink packages. Hotel & Restaurant Wesseling offers years of experience in hospitality and is famous for its exquisite cuisine for business groups. We make sure our business guests do not forget the culinary aspect of their visit. Hotel & Restaurant Wesseling offers two conference rooms from 35m2 to 55m2.